The Neustadt-Glewe site is proud of its award as a family-friendly company by the German economic development agency Südwestmecklenburg mbH. At the beginning of February, the audit took place at the Neustadt-Glewe plant. HENKEL particularly impressed the auditors with the various working time models, health promotion measures, offers for occupational retirement provision as well as various training measures. Its commitment to the region through the support of regional institutions, schools and clubs was also very well received. The jury was particularly impressed with the corporate image, which shows the commitment and responsibility of the company to its employees when it comes to the compatibility of family and career. “We are delighted with the award and see this as confirmation that we are on the right path. The seal will also serve as an incentive for the future to focus on and further expand the wellbeing of our employees and our commitment to the region,” said Gabriele Eichenauer (Business Administration Management). The seal is awarded for a three-year period, before a new audit is carried out by the German economic development agency Südwestmecklenburg. 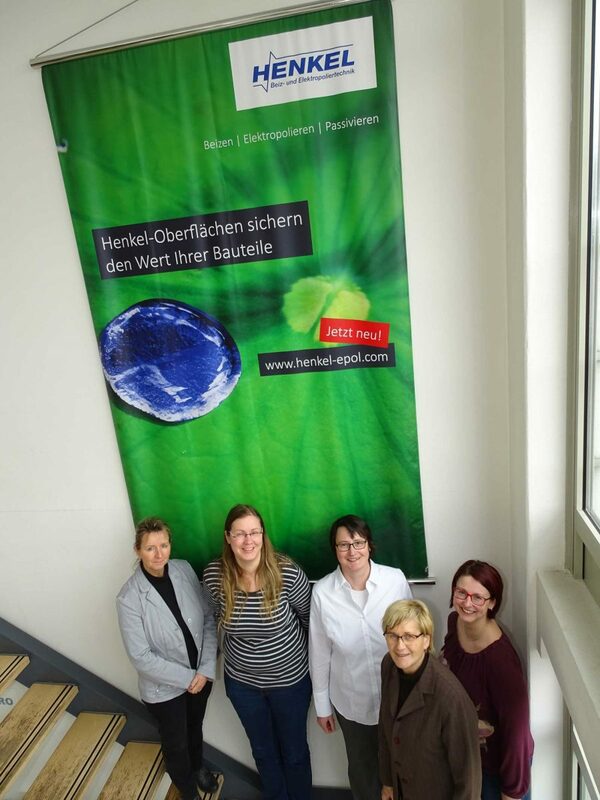 The picture on the left shows the audit team with the two HENKEL representatives Gabriele Eichenauer and Judith Sieber.